Introducing a new model from the Gramlights line-up. This light weight cast RCF (RAYS Cast Flowform) is available in 15, 18 and 19 inch fitments with special Super Dark Gunmetal color. New technical features include a new spoke profile in a delta shape allowing for a thin top spoke while maintaining strength and weight loss throughout the wheel. 57Transcend includes new RAYS logo machining on the spoke for added detail. Air valves are included. Four center caps options are available for purchase. 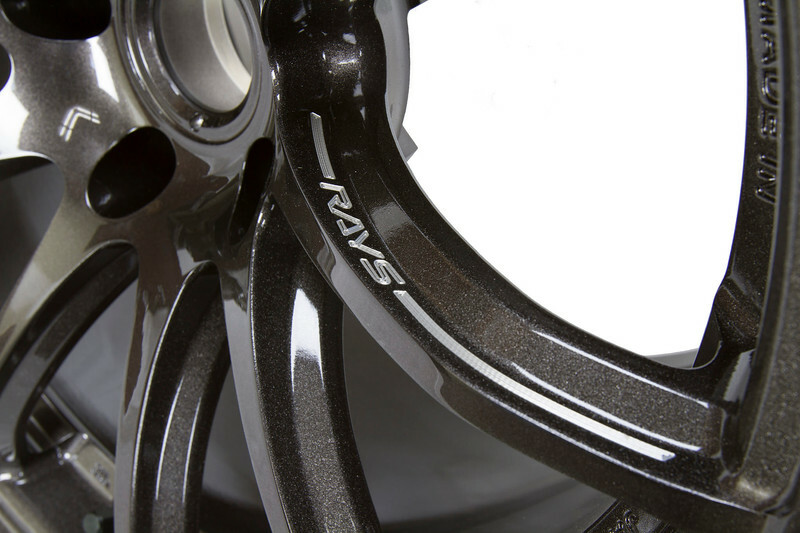 This CAST FLOW FORM (RCF) wheel is made in Japan by RAYS. MSRP starts at $489 per wheel for 18inch. First shipment of 18inch will arrive Dec. 2015 and 19inch to arrive in Feb. 2016. Now Accepting Orders. Please contact your sales representative.